Thank you to Clark Denmark for this IS translation of our WFD and WASLI Cooperation agreement. This agreement was updated in November 2018 at the WFD conference at Budapest. 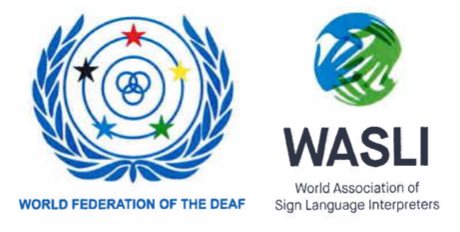 It is inspiring to see the ways that countries around the world have also formed cooperation agreements among Deaf and interpreter associations, leading to better relationships and outcomes for all. WFD and WASLI Cooperation agreement.